I am trying to help help my friend Chris ( aka Ulvfugl ). 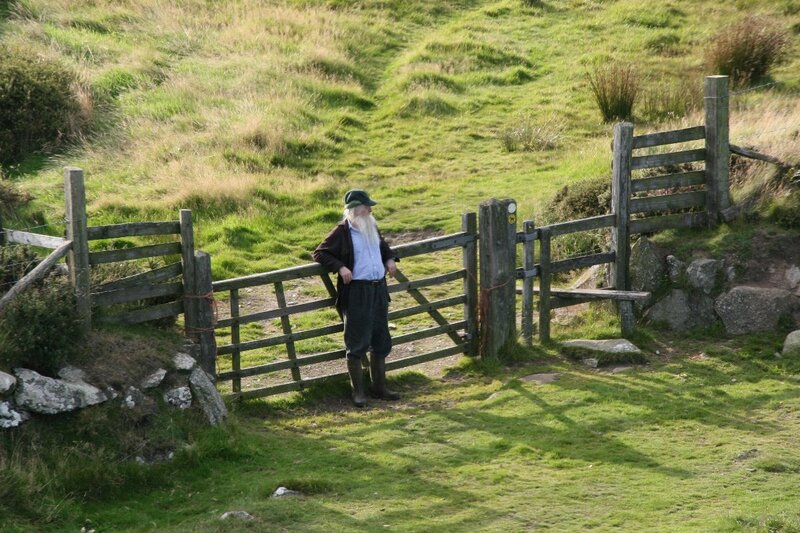 He is struggling to stay in his home in Wales and look after the small farm where he has lived for the last 30 years. Chris writes a blog and looks after his apple trees up in the hills. Just over a year ago Chris had a stroke that left him with numerous mental and physical debilities perhaps the most limiting of which is only partial use of his right leg. He has recovered well but the limited use of his right leg has greatly decreased his mobility. He loves being outside tending to his paddocks, trees and plants but as the land is quite steep and Chris finds it very difficult to walk up the hill, plus the effort uses all his strength. This leaves him little energy to do the work he set out to accomplish. Chris lives 2 miles from his nearest village and whilst he loves the seclusion - it does mean that having no transport severely limits his ability to tend to his property. Much can be ordered online and he can order a cab to take him to hospital appointments but that does not give him quality of life. Chris searched around for a vehicle that will best suit his needs, whether it is tending his paddock or occasionally visiting his neighbors. We have come up with the: https://www.terrainhopperusa.com/overlander-4zs an amazing electric wheelchair that can cope with rough ground on the steep hillside. Plus it could easily cope with the pot-holed dirt track so he can visit neighbors. This will cost about 17,000 pounds sterling - this can be adjusted when you hear from Chris which model and accessories. We would greatly appreciate help funding this vehicle for Chris. It will be a complete life changer for him and solve the current situation where he is very restricted in his ability to get about outside. Chris is in his 70th year but full of life and so very much wants to be able to get out and about. Any donation will be very much appreciated. "Hello folks. I’m still plodding along here. There’s Winter Solstice and Christmas coming up on the horizon, and then the days will begin to get longer again. I got inspired by that idea after learning about the amazing Bardsey Apple."